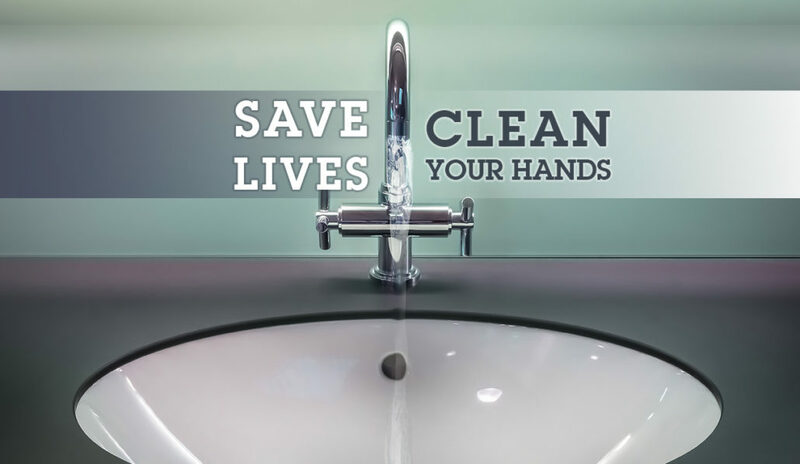 Washing your hands following a bathroom visit, prior to handling food or any other activity where cleanliness is of particular importance is an everyday ritual which most of us don’t even think about anymore. As such, the World Health Organization’s (WHO) May 5th awareness day ‘Save Lives- Clean Your Hands 2018′ seems odd taken at face value, appearing almost melodramatic. Unfortunately, it’s this very complacency in attitude that necessitates the campaign in the first place. Were we all cleaning our hands properly all the time then there would be no reason for an awareness day and no danger to human life. So it is that I start this blog by asking that you forget everything you’ve been taught from school, PSA cartoons and by parents to reassess hand hygiene for a moment; how thorough is your cleaning? What risks are being controlled? Are the facilities available fit for purpose? Let’s start with a look at Sepsis in the context of Healthcare specific hygiene. The theme of this year’s event is to prevent sepsis in health care. As a potentially deadly complication arising from infection, the emphasis upon health worker hygiene is understandable. However, this is by no means an isolated concern, we can all learn something by examining the severity of associated dangers to lend weight to the importance of good hygiene. Sepsis can develop following surgery, through a catheter or during an extended stay in hospital, with a broad range of infection sources including skin infections, organ infections, appendicitis and flu. When the immune system is weak or the infection in question is serious enough it can spread through the blood stream, rather than remaining localised thanks to our white blood cells. As the immune system overreacts to compensate, inflammation occurs around the body inadvertently damaging tissue and constricting blood flow. Following this a sufferer’s health can quickly become critical, with blood pressure plummeting, simultaneously preventing oxygen from reaching the organs. Within hospitals the dangers of serious consequences can be especially high as well, since those who are already vulnerable in some way are at greater chance of such infections developing. Pregnant women, chemotherapy patients and HIV sufferers are all at advanced risk of a minor infection becoming sepsis. Depending on how far the sepsis has advanced and which bacteria has been identified as the cause, it can be treated with oxygen, intravenous fluids and antibiotics but the latter in particular comes with its own set of ongoing problems. Above all what’s vital to keep in mind here is that the root cause begins with relatively minor infections which occur because of careless hygiene procedures. The dangers don’t end with sepsis either; poor hygiene runs the risk of facilitating food poisoning, pneumonia, gastroenteritis along with the spread of viruses and parasites. Prevention is always ideal over cure, and much of this starts with the sink, bathtub and shower. As part of their campaign, WHO are promoting a system themed around ‘5 Moments for Hand Hygiene’ to fight the spread of sepsis in healthcare. Before a clean aseptic procedure. After a body fluid exposure risk. After touching the patient’s surroundings. For those of us working outside of healthcare these broader steps will have limited relevance, however we can all benefit from key hygiene advice to protect ourselves. While the infection risks of a typical workplace may not be as apparent as those in a hospital, clinic or surgery we can all take a lesson in thoroughness from the example being set. How often should you clean your hands? How often should you clean your hands? Many of us won’t have to worry about surgery or direct healthcare but there are still a number of situations which absolutely demand it. After going to the toilet is an incredibly obvious one, but it’s also vital that we do not become lax elsewhere. When handling raw foods – not just meats, but vegetables too – you should always clean your hands and surfaces which have been touched, especially when you’re about to handle cooked foods. This in turn underlines the need to do so before eating. Outdoor activity such as gardening, general home/workplace cleaning or handling of hazardous substances (however careful) should also prompt hands being cleaned before switching tasks, while contact with pets – lovable as they may be – and other animals should also provoke the same. Workplace Well-Being can be a fulltime management career – Train online and become NEBOSH Qualified. As indicated at the start of this blog there can be a world of difference between putting your hands under a tap and genuinely washing your hands. Be thorough, you should spend roughly twenty seconds washing your hands with soap to ensure an adequate level of cleanliness. Simply splashing your hands and rubbing them together once is unlikely to be enough. After initially wetting your hands and applying soap – whether it is from a dispenser or bar – be sure to cover your hands completely. From here, to ensure everywhere is suitably clean alternate between rubbing your palms together, rubbing your fingers together while interlocked, rubbing the backs of your fingers against your palms and clasping each thumb while gently rotating it within your palm. Once you have done the latter rinse off the soap -preferably with warm water – and dry your hands. Drying hands may well be the area people spare the least thought for in relation to hygiene. However, under the wrong circumstances it can be a launch board for bacteria, infections and food poisoning. Reusable towels are the worst offender in this area, while they are not a problem in themselves if they aren’t regularly washed and become damp they are liable to become breeding grounds for bacteria. In the worst-case scenario, drying your hands on a towel that has seen heavy use could effectively undo any benefit of washing your hands! If your workplace uses towels in this way, make sure there is a regularly laundry rota in place where they do not see more than a maximum of a few days use before being replaced/washed. If you happen to find a towel that is soaking damp and still in use, then be sure to remove it and make the appropriate areas of management aware of the issue. Use of paper towels is likely the most hygienic option as they almost completely remove the issue of cross-contamination. However, they are not particularly environmental. Electric Hand dryers may also be present and remove the issue of cross-contamination again, the typical drawback being that they usually take longer to completely dry hands. If you’re in a hurry waiting longer can be frustrating, but it cannot be overstated; ensure your hands are dry BEFORE leaving the sink. Pushing open doors with damp hands could create an inadvertent breeding ground for harmful bacteria in the workplace. Even if your personal hygiene habits are top notch is always worth considering; are your facilities adequate? If you feel suitable wash facilities are not readily available for the work at hand, then it is always better to raise the issue with management than to turn a blind eye. A kitchen might lack enough sinks for staff cleaning procedures, or perhaps use of chemicals warrants automated handwashing machines; either way a suggestion and future change could prevent a potential health disaster. Maintenance of existing facilities shouldn’t be neglected either. Whether it be blocked drainage leading to overflowing urinals or a failure to stock soap and towels, allowing the situation to deteriorate without intervention helps no one. Make management aware as soon as possible and if they fail to take action contact a higher authority. During a busy working day it can be all too easy for minor hygiene failings to be overlooked, or for staff to rush handwashing in order to speed along what appear to be more important matters. However, this is only truly viable until disaster strikes and the mistakes become obviously apparent. If you take nothing else from this blog at least stop for a moment next time you’re at the sink and consider how clean those hands really are. Were they a stranger’s, would you want to shake that hand? Would you want them serving your food? Would you want them treating your injuries? If the answer is no then it’s time to reassess your hand hygiene.